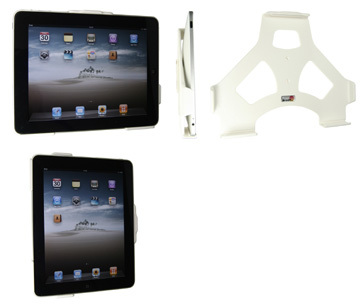 Place your iPad on the wall and you will have it neatly in place where you want to use it! 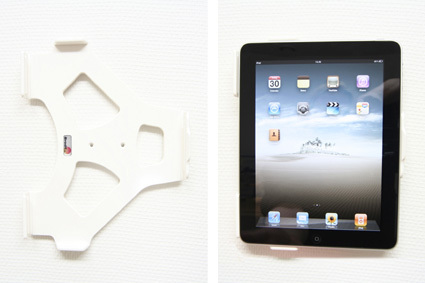 A discreet slim design wall mount for your home, summer house, caravan etc. You can connect e.g. a charging cable to the iPad when it is in the holder. 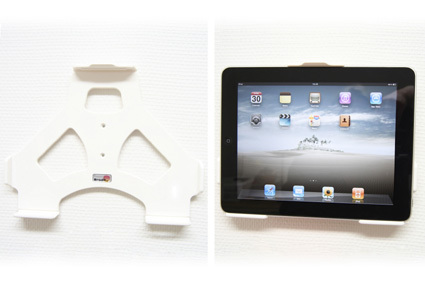 Keeps your iPad firmly in place. 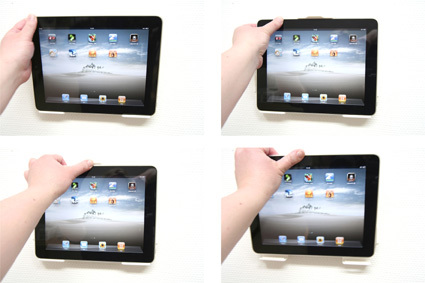 You can easily remove the iPad when you want to use it elsewhere. You can choose to install the mount in portrait or landscape mode. Made of white ABS plastic. Please read all of the instructions and look at the pictures before attaching the monitor mount. 1. 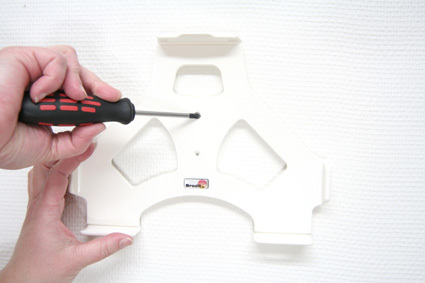 Place the mount into desired position and screw it into place. 2. To place the device in the holder: Place the lower part of the device in the holder, then flip/press the upper part forwards so it snaps into place in the holder. To remove the device from the holder: Press upwards on the upper part of the holder, in the same time pull the upper part of the device out from the holder and then lift the device up and out from the holder. 3. The holder is in place in upright position. 4. The holder is in place in horizontal position.